Meeting convened at 6:30 p.m.
Mishcon explained that the project entailed the demolition of the building by the hopper due to the rat infestation issue at the Transfer Station. Two bids were submitted for review. David Bates of Davonna Homes and Steve Barton of Barton and Sons Carpentry. The Board unsealed the two bids and reviewed each of them. The Board asked Barton to give a description and explain his proposal. The Board questioned Barton. After discussion, the Board will review the bids further and make their decision within 24 hours. Bid proposals are attached. The Board reviewed two bid proposals. One from GMI and the other from R & D Paving. GMI did not have a representative at this meeting. However, Jeff Twaroy from R & D Paving was there to hear the results of the company chosen to do the work. Mishcon read the GMI proposal along with the R & D Paving proposal. The Board questioned about the difference in the winter binder aggregate which was noted in the R & D Paving proposal. Twaroy was able to answer the question and he highly recommended that it be used on Old College Road. After discussion, the Board decided that it was not clear if GMI was using a winter binder aggregate and would investigate that further. The Board will further review and make the decision within 24 hours. The Board opened the bid proposals for the three storage containers. The work entailed clearing the trees about 40 feet into the hillside over by the Swap Shop area. • J & B Landscaping using the town loam material came in at $4500. And with no town materials the cost is $6500. The Board will further review the proposals and make the decision within 48 hours. • The highway department ditched several roads including the top of Boston Hill Road. • Thompson indicated that the Currier Road culvert needs to be considered for fixing due to the rotted bottom. • The Board discussed with Thompson the issue of Summer rates v. Winter rates. Thompson believes that the rate should be consistent because the rental cost for equipment remains the same. The Board will discuss further. • Thompson received a quote from Ossipee Mountain Equipment for radios at the price of $743 per unit installed. Three to four units are needed. The money was appropriated last fall in the budget. The base is not included in the quote. Previously there was a base unit in the Town Hall downstairs closet. It is the Fire Department’s equipment. If it needs anything repaired, the Fire Department should take care of fixing it. Thompson would like to move forward and purchase the equipment. It will be safer especially during storms for the employees to have radios for communication. The Board agreed. • There is a drainage issue on North Street that needs to be looked at. Thompson will view the issue. Six State Officials with the Department of Transportation (DOT) including Assistant Commissioner, William Cass, Right of Way Administrator for the Railroad Division, Chuck Schmidt, along with the Town Administrator, Marj Roy, Road Agent, John Thompson, the Town Attorney, Matt Serge, and all three members of the Board, Vicky Mishcon, Dave Blinn, and Chuck Keyser attended the meeting. The State had incorrect information which the Town was able to give them the correct information. The State will have some numbers by mid-September as to what they are looking for from the Town. Roy has been in email contact and will pull the file and get the information to him tomorrow. Sanborn wanted to know how to change the rule on Class VI roads in order to allow residential structures to be built. Sanborn would like to build his residence on an existing foundation on his 17-acre property on Morey Hill Road. Mishcon indicated that the Board looks at each case individually on its merits. The Board discussed their review of the Class VI Road issues. Blinn indicated that the Town needs to keep the tax base fresh. Allowing a residence to be built on a Class VI road brings in revenue. The School is growing and expanding. There is a small base of residents paying for the bulk of the taxes. Mishcon explained that should a Class VI road be petitioned to change the classification to a Class V road, that must go to Town Meeting for voters to make the decision. It is not the function of the Select Board. Sanborn indicated that the Road Agent gave him permission to fix Morey Hill Road for access to his property. Thompson agreed and noted that the road looks great. Sanborn would like to either change the rule or start the process of acquiring a building permit. Steve Barton, Deputy Fire Chief spoke in favor of Sanborn building a residence on Morey Hill Road. Barton talked about having several lost hikers up in that area. What Sanborn has done by maintaining the road is very helpful for fire equipment to gain easy access to the State Trail past Sanborn’s property. There is also a beaver pond there the fire department can utilize. Sanborn will bring his building permit application to the Zoning Administrator for the process to start. The Board noted the State RSA 674:41 which indicates that residential buildings are not permitted on Class VI roads, but outlines a process for which certain exceptions may be met. 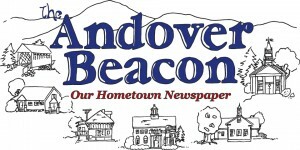 The Andover Zoning Ordinance also reiterates State law. o Blinn – Voted no. No reason to make more rules and regulations. Need to remain flexible on the current times for an applicant. The policy does not create any more than the State law provides. State law can’t be superseded. o Keyser – Voted no. There are no defined procedures. Times change. After attending Master Plan committee meetings, he realized what the older folks on the committee might envision something quite different from what the next and future generations may need. Keyser would like to see some younger faces on that committee to guide where the town is headed for the future. The Board voted a unanimous NO to adopt the Class VI Road Policy. The Board noted that the Planning Board did a good job and worked mightily, but the policy is not needed. • The library door and ramp need to be reconfigured and repaired. The Board discussed several options to have the work done. Mishcon received an unofficial offer to use volunteers to complete the project. However, Blinn’s concern was making sure it is ADA compliant. Liability issues need to be assessed also. • Keyser wanted to make sure it was clear in the July 24th Minutes that the issue with Henry Prentice throwing the buckets into the hopper were noted as “empty” buckets. The Board voted to amend the minutes. It was a unanimous vote. • The School District provided an easement plan for the sprinkler system. • Roy received a telephone call from NH the Beautiful. The town will be reimbursed $7,000. 00 for the bailers and the storage buildings. • Terry Knowles will no longer do the training at the Charitable Foundation. The training will now be done by the NH Municipal Association. • The court ruled in favor of Fairpoint’s utility assessment. • An Eversource representative spoke to Thompson. They will replace the wooden frames on Bridge Road and Bradley Lake. They will access on Dawes Road, a Class VI road. • The Town received the last payment of $39, 068.17 for the State Highway Block Grant. Closed Public Meeting at 8:25 p.m. Opened Non-Public Session at 8:25 p.m. Closed Non-Public Session at 8:50 p.m. Re-opened Public Hearing at 8:50 p.m.
Mishcon made the motion to adjourn the meeting. Blinn seconded the motion. All in favor. Meeting adjourned at 9:00 p.m.
Minutes prepared by Patricia Moyer, Select Board Secretary.